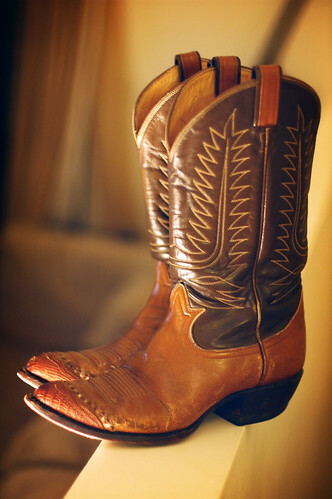 My mom bought these Tony Lamas for me at Sheplers in Denver in '80 or '81 after I saw Jodi Sundberg wearing cowboy boots with a ruffled denim skirt and she looked rad. The oldest pair of shoes in my closet, they've been resoled and reheeled more times that I can count. Super comfy. I hope they last forever.